PHOENIX — There is a massive change headed to American sports, and the NFL continues to prepare for it. On Monday at the NFL’s annual league meeting, the league’s 32 owners were given an update on how the NFL plans to accommodate legalized sports betting on a massive, nationwide scale. The presentation left some in attendance with three takeaways. One was how much focus was put on the issue itself, a discussion that lasted for nearly an hour. A second was how the league is pursuing, or at least open to, sponsorships from gaming entities. And according to Sportscorp Ltd. co-founder Marc Ganis, whose sports business consulting firm has worked closely with the NFL, the third takeaway was how seriously the league is looking into the potential for nationwide, legalized sports betting to one day lead to the type of negative headlines that could rock the NFL to its core. Ganis says the NFL is wary of the potential for a game-fixing incident or even another Tim Donaghy refereeing scandal to corrupt its product. 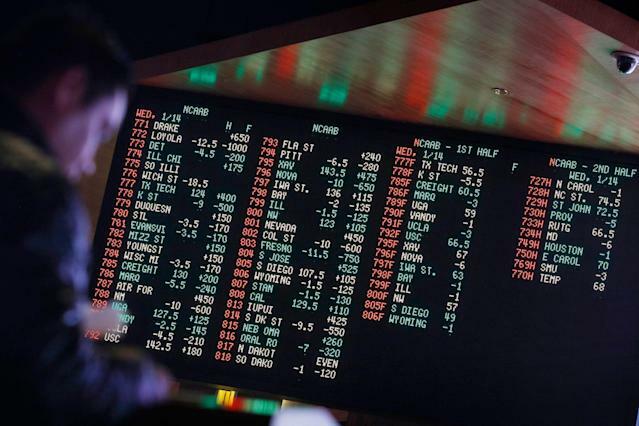 To that end, Ganis said the league and its owners are taking the process slowly, continuing to do research on how to prevent ignominies while still horning in on the billions of dollars that illegal sportsbooks are believed to rake in yearly in America. 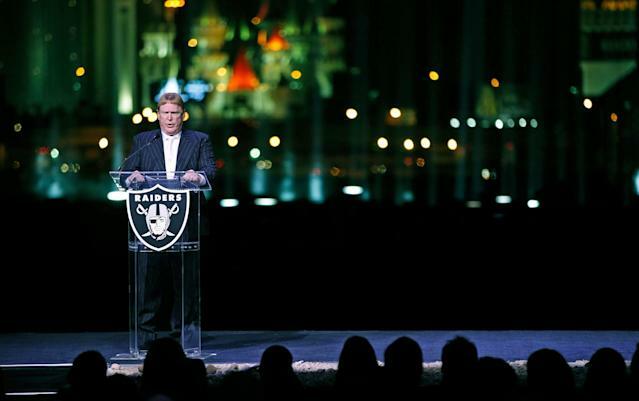 Oakland Raiders owner Mark Davis, whose team will move to Las Vegas in 2020, agreed with Ganis about the need for caution when it comes to embracing legalized sports betting. Thanks to New Jersey’s Supreme Court victory in May 2018, any state can legalize sports betting. Eight states currently have it, with several more potentially moving toward it. Congress, meanwhile, is contemplating sports betting legislation that can regulate an industry that promises to be lucrative — NFL revenue could increase by approximately $2.3 billion per year thanks to legalized sports betting, according to the American Gaming Association. That’s why, Ganis said, the NFL is pushing for Congress to push nationwide legislation, with the belief that the industry will be better regulated by a single entity instead of many different states. The NBA and MLB have been far more aggressive in embracing legalized sports betting — both leagues have already partnered together to introduce legislation in several states that would have allowed them to get a cut of those profits — but that doesn’t mean the NFL isn’t moving forward. Last September, the Dallas Cowboys became the first NFL franchise to strike a sponsorship deal with a casino (WinStar World Casino and Resort), one that will place the casino’s logo throughout the Cowboys’ facilities and various other properties, such as their website and mobile app. “And there will be others,” Ganis said. In January, the NFL followed the NBA, NHL and MLB (which signed with MGM) by signing a $30 million sponsorship deal with Caesars that made the entity the league’s first official casino sponsor. The deal excludes sports betting, but Caesars can use NFL trademarks at some of its properties, and potentially host NFL events. Still, as the NFL cozies up to regulated sports betting while preparing to place the Raiders in the betting capital of America, it appears the day where a fan can go to a popular chain restaurant on a football Sunday and place multiple bets on NFL games in real-time has never been closer, even though Ganis warns changes will come incrementally.